Bev over at 44th Street Fabric did a nice little interview with me. She asked where I am currently getting my inspiration from. This is my collection of vintage upholstery fabrics. This fabric is known as frieze or frise. Used to upholster furniture from the 40's and 50's. 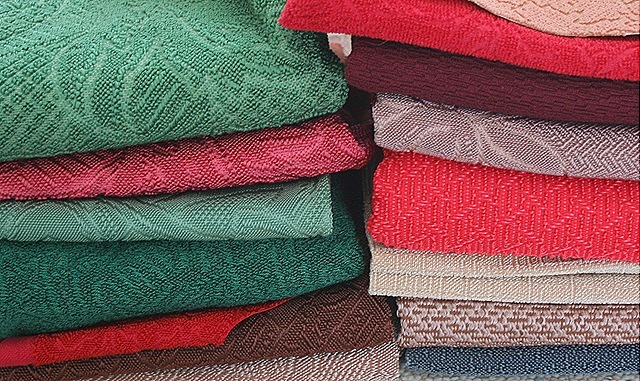 I'm in love with this stack of fabrics. These are my vintage swivel chairs from Kroehler. It's been great to work with so far and makes a wonderful purse. I love your fabric AND your chairs! That retro look is very very hot here with the 20’s something crowd. Go figure! The come into the Rink all the time looking for retro. They’re doing their entire living spaces in it! What fun! I used to scratch on that fabric with my tiny little fingernails! Now,I wonder which chair or chairs in our family homes had frieze on them? I’ll be honest – I like it a million times more on your bag than I did on those chairs! P.S. come for a blog visit …. I FINALLY got my One World One Heart give away project posted ! Are those chairs miniature? The picture makes them look like they’re small- But even if they’re not they are still awesome! 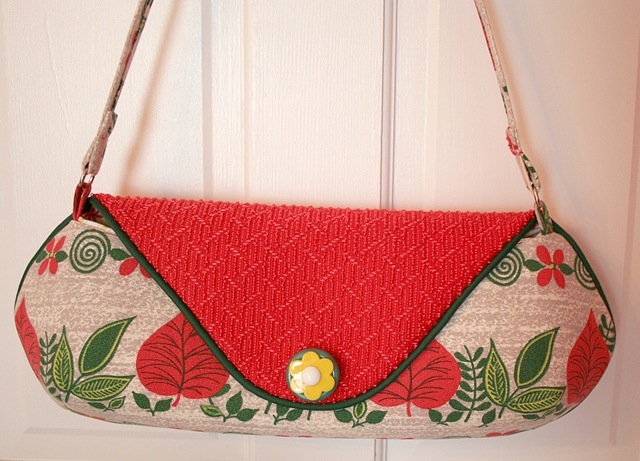 Beautiful fabric – I love your new “springy” heading. Thank you, I’ve always wondered what this fabric was called. I keep wanting to buy retro furniture like this, but then I consider how long it would survive with three huge guys. It’s so nice to see that some lovely pieces have a good home, and are truly treasured. This purse is wonderful. I like the style, size and design! Morning. I love the chairs and I love the purse; however, it is your fabric stash that I am drooling over. Thanks for sharing. I LOVE this clutch! And the upholstery fabric! My grandparents had that fabric in their living room. When we visited, I always had to sleep on the couch with just a sheet covering it. I always thought it was ITCHY. Now I see the beauty. I love those chairs and that handbag! Any chance you are selling the chairs? They will sound innocent enough and very non-threatening but their intentions are anything but.